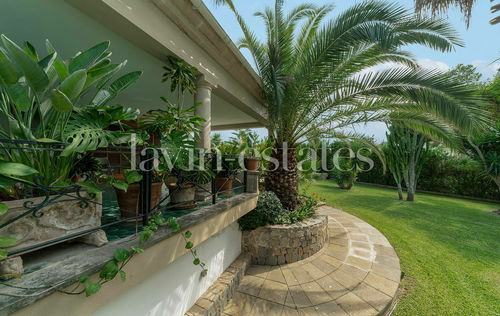 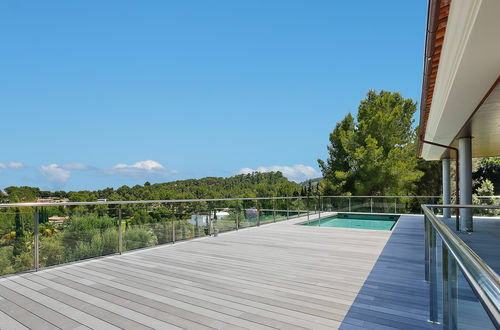 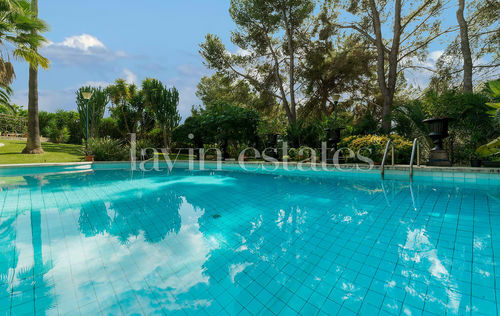 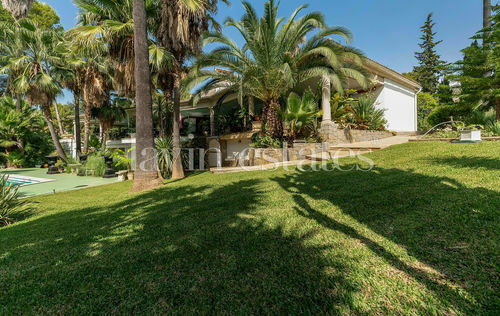 This spacious property is located in the immediate vicinity of the golf course of Son Vida and offers a wonderful view of the well-kept green areas of the club. 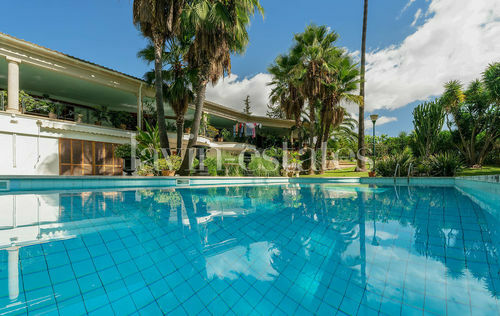 The villa is spread over three floors and comprises a spacious living room with fireplace and dining area, a fully fitted kitchen, two large master bedrooms each with integrated bathrooms, two bedrooms with a shared bathroom, a library, a lounge area, an utility room, a guest toilet and cozy terraces on every level. 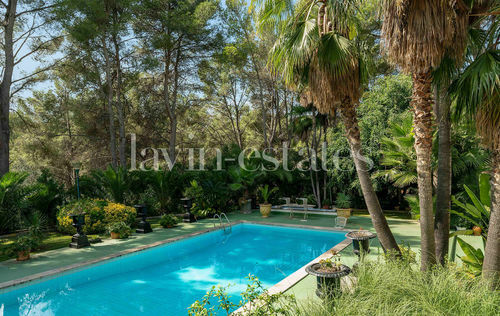 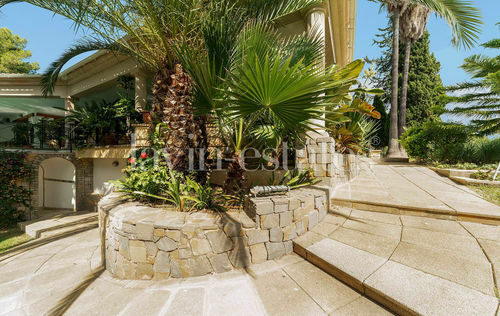 The beautiful garden offers a large neat lawn with selected Mediterranean plants and a beautiful swimming pool. 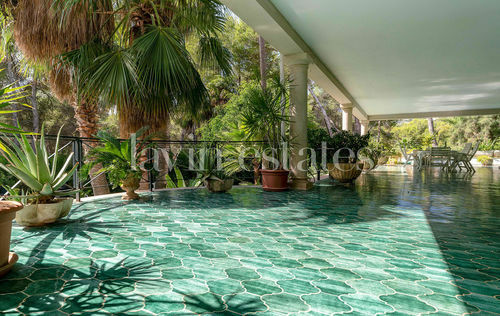 Son Vida is an exclusive residential area just a ten minutes` drive from Palma's old town with its charming alleys, impressive city palaces and a great gastronomic and cultural offer.